The week is already half over and that's totally ok with me. I believe today is the first semi nonrainy day in about 6 days. No worries, it's supposed to rain until Monday. Is this spring or fall we're dealing with? I'm sure you've seen some swatches from the newest OPI collection for fall inspired by Venice. Read on to see what I chose from the collection. Hi guys! Sorry I didn't post yesterday, but my parents were around so I decided to just take another day off and start out the week with a post instead. It's been so dreary and rainy here lately. The best part? It's supposed to rain all week. Blah. The only bright part of my day has been painting my nails. 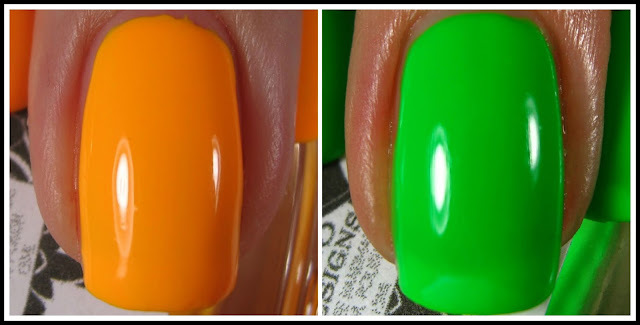 Check out some swatches of recently released Rainbow Honey polishes after the break. TGIF! I'm excited have family in town this weekend, but it has been raining nonstop! Oh, and I got a rose gold iPhone 6S today! It's so gorgeous. Anyway, tonight I have 2 colors in the core line from Morgan Taylor. Follow me after the break! Earlier this year, LynBDesigns released a trio of polishes named after Harry Potter. There are 3 parts of this series, and I believe No Forgiving You Now is the second installment. 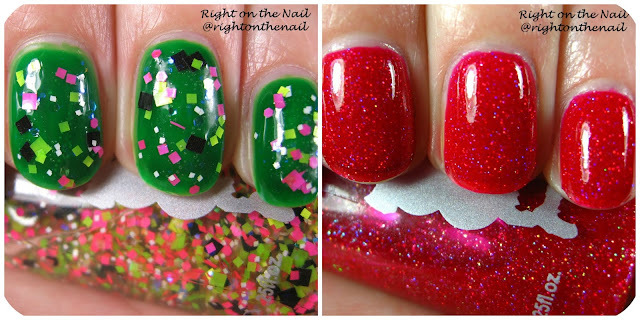 Tonight I have 2 of the 3 polishes to show you and they are full of flakie goodness. Please continue reading to learn more! Hi guys, don't forget that my giveaway ends at midnight tonight! If you haven't entered, you still have a chance. I'm really excited that Dancing With the Stars is on tonight. I'm actually not really excited about the lineup this season, but that never stops me from watching. I think Scream Queen starts tomorrow so I'll give that a chance, too. Anyway, I must confess that the polishes I'm showing tonight aren't for sale right now. I'm so sorry, but I had no idea that they might be limited edition. They come from the Summer 2015 Vocab Collection that features extreme neon colors. Follow me after the break for more pictures and my thoughts. TGIF! Tonight I have a quick post of a polish that I bought on sale from Sephora. I believe that Obsessive Compulsive Cosmetics (OCC) is being phased out at Sephora, but you can still buy them for $10 on their website and Nordstrom. Strumpet is a berry plum creme that had the best formula I've used in a long time. No, really. It was amazingly smooth in 2 coats and was quick to dry. It's not the most unique color, but the application makes me want to use it again. Hello hello! 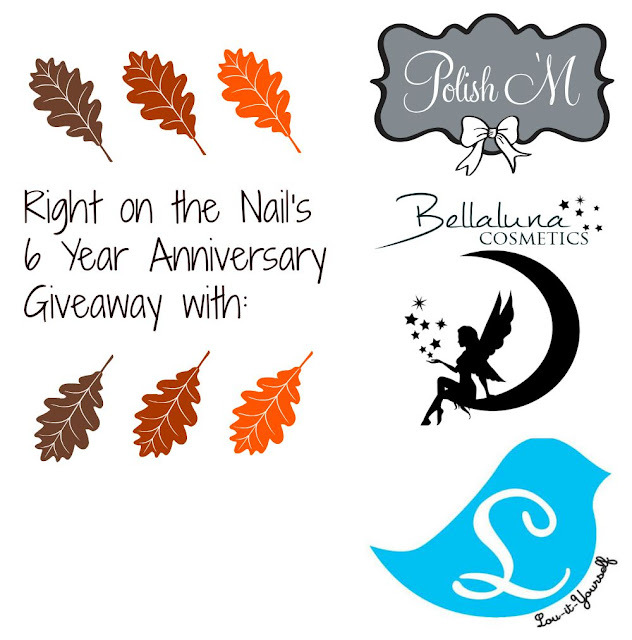 If you haven't signed up for my giveaway yet, you still have plenty of time. Since there are 3 winners, your chances of winning is much higher. Anyone watch Dancing with the Stars this week? There are some train wrecks and I can't look away. 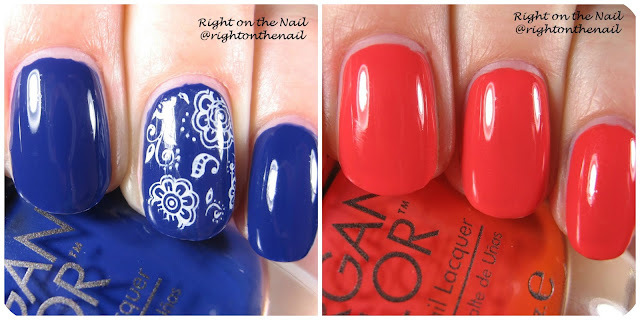 Tonight I have 3 polishes from the brand new fall Sally Hansen Xtreme Wear collection. Let's see what we're working with after the break. Dear readers, can you believe it has been over 6 years since I started blogging? I believe my first day was August 1, 2009 (please don't look at those swatches though...they were terrible). Some days it feels like longer than 6 years, but some days it feels like yesterday. One thing that stays the same is my appreciation for all of you. If nobody read the blog, I would have no reason to continue. To show my appreciation, I would like to have a giveaway for (1) $20 credit to Polish 'M, (1) $20 credit to Bellaluna Cosmetics, and (1) gift set from Lou it Yourself. That's right, there will be three different winners! 5. Winners will be chosen randomly by Rafflecopter. All winners will have 48 hrs to respond before new winners are chosen. The lovely Samantha from Bellaluna Cosmetics has kindly provided a discount code for purchases made this week until Sept 21st! Yup, that means you can purchase that fall collection or get on the mani bomb craze with a little more left in your wallet. All you need to do is enter the code RIGHTONTHENAIL15 for 15% off of your order. Ok, time to enter! Good luck! Hi guys, I hope your weekend went well! It was fairly low key around here, and the weather has decided to give us a taste of fall today. Tonight I have a couple polishes from the indie brand Rainbow Honey that releases their mystery bags every month. Follow me after the break for 2 colors recently released in their mystery bags. Oh my, it's Friday already! I took the day off yesterday to go to the NC Zoo since it was my husband's birthday. I tell you what, the zoo is dead during the week after school is back in session! It was a bit humid, but we got to see some great views of the animals. Tonight we'll finish up the Zoya Focus collection to finally move on to new fall collections that have been popping up everywhere. Follow me after the break to see the last swatches. Hi guys, I hope your week has been going well. It's a short work week so this week has been flying by. Tonight I have the first of 2 posts with the Zoya Focus Collection which features all cremes. Let's see what they have to offer after the break. Hi guys, happy Labor Day! Can you believe the summer's basically over? I had a bit of a quiet day and just did a little shopping. We also ate at a brand new Mexican food place that just opened today, and it was really good! 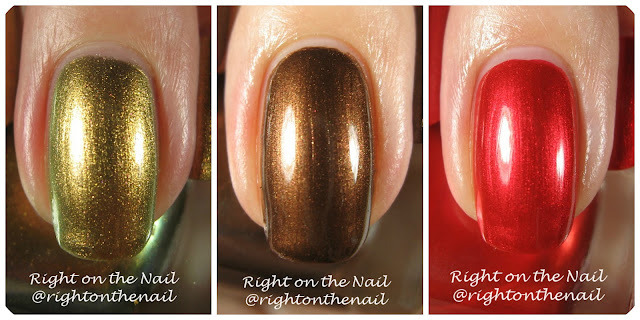 Tonight I have the final 3 Zoya polishes from the Flair collection to show you. Follow me after the break to hear what I think. Hi guys, I hope you enjoy the new layout! I've been wanting something special for a long time, but for some reason put it off. Please let me know your thoughts. Anyway, tonight I have the first part of the Zoya Fall Flair Collection to show you. I am extremely impressed with these, so let's go ahead and get started after the break. Who's ready for a long weekend? This gal! Things have been pretty crazy at work lately (but when isn't it?) so I'm ready for an extra day off. Be on the lookout this weekend for some great Labor Day sales! Tonight I have the final 2 colors I bought from Reverie Nail Lacquer. Being a scientist, I've been fortunate enough to visit some awesome places. I just so happened to visit parts of the ocean that aren't often explored (I crossed the equator on at boat!) and got to see some true open water, and it is as brilliant as you'd imagine. The polish Open Water captures this perfectly with this sheer jelly color packed with circular and hexagonal glitter. The hints of red and yellow glitter are great pops of color as well. Being a jelly it is sheer, but the glitter helps cover any visible nail line that remains after 3 coats. I found that this one had the best formula of the 4. And finally, we have Rosebud which is so complex. I usually try and take a stab at describing polishes, but I think Reverie said it best by stating that it's a "ruby jelly base loaded with shimmer, flakies, microglitters, and tons of red and pastel mint, pink, orange, and yellow glitters in hex and circle shapes." Whew! Get all that? It's beautiful, but also the biggest pain to apply. I would recommend some polish thinner and extra time between coats. Photo show 3 coats. I believe their polishes normal cost around $8 and you can find Reverie Nail Lacquer on their Etsy page, Instagram, and Facebook pages. Hello hello! Tonight I have a few swatches from one of my favorite indie brands called Reverie Nail Lacquer. If you are interested in buying any of the ones I'm showing you tonight, rest assured that Reverie is still around and will be back with some fall pretties in a few weeks. I ended up buying 4 colors from their 4th of July sale and I pretty much love all of them. First I have Dog Days which is pale blue crelly with yellow and blue hexagonal glitters. Reverie is most known for their jellies with intense glitters, so Dog Days is a bit of a rarity. Since there is so much glitter in there, I had a bit of an issue with the application because it was extremely thick. I used some nail polish thinner (bought from Sally's Beauty Supply) and it was as good as new. I used 3 coats, and I would wait an extra couple of minutes between coats to make sure you don't get too much dragging of glitters. I can only assume that the second color called Lily Pads was inspired by some of Monet's paintings (which are some of my favorites.) It's a blue/green jelly base with tons of hexagonal and circle glitter. Name a color and it's probably in here. The major glitter colors are blue and green with accents of orange, red, white and yellow. It's such a busy polish, but I love it! I can see how it may not be everyone's cup of tea, and I'm totally fine with that. The formula was also thick on this one, but not as much as Dog Days. You may still want to add a couple drops of thinner if the first nail gives you trouble.